Even if it takes an eternity, he will make amends . . . .
Of any creature to walk the earth, Angel understands -- perhaps better than most -- the fragility of the soul. For others, the soul is the essence of humanity. But for Angel, his propels him toward the acts of humanity that may ultimately be his salvation. He never thought people would pay for a soul. 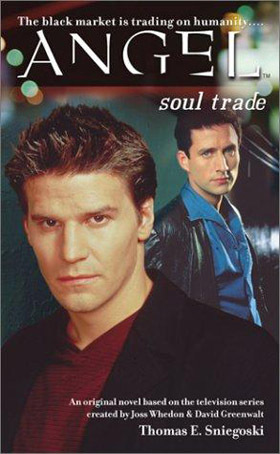 In Los Angeles, where everything's for sale, Doyle, Cordelia, and Angel discover a young girl whose soul has been literally taken from her, and they realize that the soul trade has hit the black market. A soul is now a commodity among the gamblers, junkies, and gangsters of the underworld, and the soul of an innocent child is the hottest item in town. That is, until Angel appears on the scene, and the inside traders realize that there's a soul out there even more unique than they had ever dared to dream . . .